caramel apple pie on a stick This week we were lucky enough to have father in law bring back a large box of freshly picked apples from a apple orchard in the mountains at his work place!!! It saved me a long trip that I was planning and just in time, I would suggest only using the Green apples as they do add more of a sour punch to the caramel. Ours were sweet with sweet. 1. Wash, scrub, and dry apples. your caramel won't stick because of the coating stores put on apples. 2. In a saucepan, melt caramel according to package directions. 3. Put Popsicle stick in the apple, I used a mallet to pound in the sticks, dip in melted caramel making sure to fully coat it. I spooned some on top of what was dipped. 6. Melt chocolate chips in the microwave in 30 second intervals. add a little shortening if the mixture is too thick. 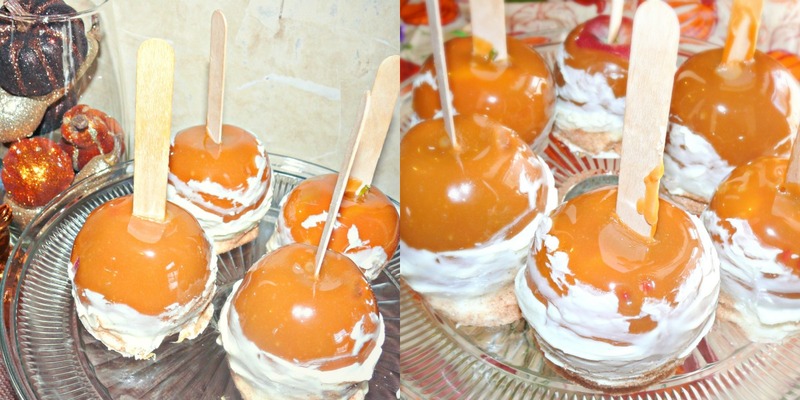 I found this wonderful recipe here, just a over all different way of making the caramel apples on a stick! VERY sweet, made my teeth ache!! Yummy and easy to do, enjoy! Much thanks to your father-in-law, so that we got to see this blog post! They look so yummy! I pinned it (of course)! Yum, I will have to make these soon! Always love them!